Coast to Coast for the FFB! Welcome to our little piece of internet dedicated to our cross-country ride over the summer of 2005. We rode our bikes 4,265 miles to benefit the FFB! 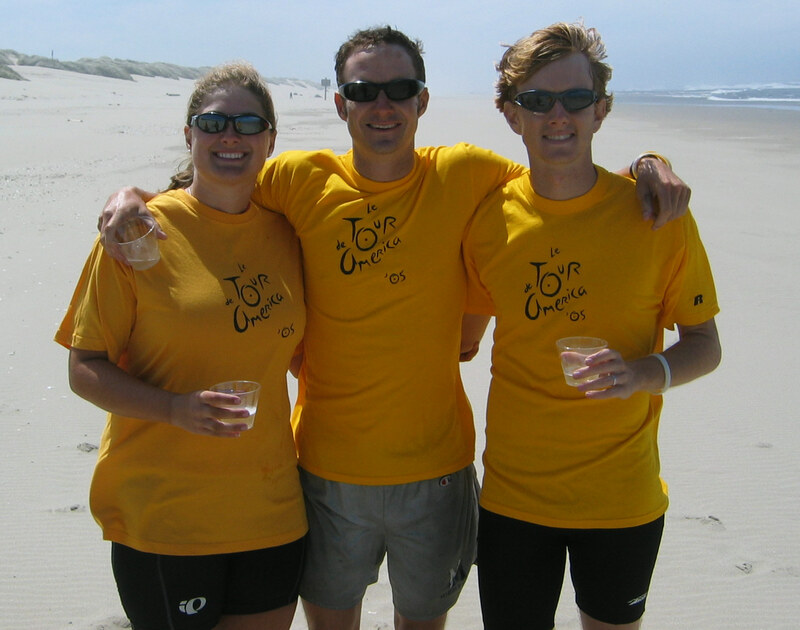 Finishing on August 7th 2005, we worked hard to spread awareness about retinal degenerative diseases, and help fund the fight against them. It's too late to make a donation in the name of our ride, but you can always make a donation to the FFB. Click here to read about our friend with retinitis pigmentosa, Rebus Bonning. THE LATEST AS OF 12/20/06: It is snowing a ton, and AK and I can't get out of Boulder to spend the Holidays in California. So to pass the time as the snow falls, I made a page about all of our bikes. Check it out HERE! Note: This link will first take you to a page describing your donation options. All donations are handled by the FFB.